The official start of pumpkin season is almost here! While the thought may bring up visions of carving jack-o-lanterns and indulging in pumpkin pie, pumpkin is actually considered a superfood and is an excellent component for a healthy diet. It’s a nutritional powerhouse that can help you lose weight, look better and improve your health. Read on to learn why incorporating fall’s versatile squash and its seeds into your diet can boost both your health and enhance the results of your skincare regimen and antiaging facial exercises. 1. Pumpkins help you look younger. Pumpkins get their vibrant color from beta-carotene, which converts to vitamin A in the body and boasts plant pigments that help prevent free radical damage, and ultimately, wrinkles. They are also loaded with other antiaging antioxidants and other nutrients, such as vitamins A, E and C, which help prevent redness and reduce inflammation. 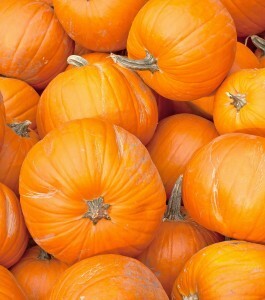 Pumpkin’s high content of vitamin C boosts collagen production, which helps your skin maintain its glow and elasticity. Their rich content of carotenoids also boosts your cell renewal process and helps prevent UV damage. Make sure to snack on pumpkin seeds too—they’re packed with zinc, which promotes skin renewal and collagen production. If you eat healthy antioxidant-rich foods like pumpkin, maintain a strict skincare regimen and do your antiaging facial exercises regularly, you’ll be sure to look your youngest and very best. 2. Pumpkins help you lose weight. Pumpkins are delicious and nutrient-rich, making them the perfect superfood for when you’re trying to lose weight. They are loaded with the dietary fiber our bodies need when you’re dieting, as it fills you up, flushes out toxins and promotes healthy digestion. Pumpkins are also an excellent source of protein, which also helps keep you full, especially when you’re following the no carbs after 5 pm regime that works so well with our No Lipo Lipo treatments. The numbers don’t lie—one eight ounce serving pumpkin contains only 50 calories and no unsaturated fat, yet boast three grams of fiber and two grams of protein. 3. Pumpkins boost your overall health. The carotenoids in pumpkins may play a substantial role in reducing the risk of various type of cancers, according to the National Cancer Institute. The fiber and mono-unsaturated fatty acids they contain are great for cardiovascular health, and the vitamin A coupled with flavonoid compounds such as cryptoxanthin, lutein and zea-xanthin promote healthy eyesight and help protect against cataracts and age-related macular degeneration. Visit this link for more antiaging tips and to learn more about our antiaging facial exercises.